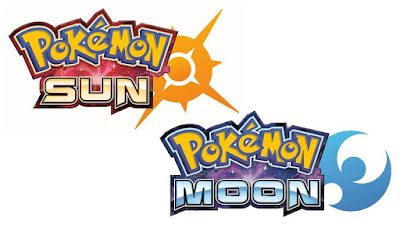 Home / Games / Pokemon / Sun and Moon / Pokemon Sun and Moon,What we Know till Now? Pokemon Sun and Moon,What we Know till Now? Pokemon Sun and Moon was revealed recently, and only a few details are known about the upcoming game that is scheduled to release later this year. The reveal was accompanied by a very short trailer that didn’t show the game itself, although it did show the development process of the game. The trailer revealed at the Pokemon Direct gave fans a very short glimpse of Pokemon Sun and Moon. Although the trailer was short and not very informative, there are a couple of things fans may have noticed. Below are some of the things we know so far about Nintendo’s latest game based on the video. Part of the trailer showed some concept art of several vehicles that fans should expect to see in-game. The vehicles could just be in-game objects, but there is still a possibility that they could be used as transportation. Giving players access to anything more than roller blades and bikes would signal a new era for the main franchise of Pokemon games. The trailer also revealed that the original titles, Pokemon Yellow, Blue and Red, which were released on the virtual console recently, will be compatible with Pokemon Sun and Moon. Via the 3DS app Pokemon Bank, players will be able to transfer first-gen Pokemons to Pokemon Sun and Moon. Near the end of the trailer, it was revealed that Pokemon Sun and Moon will be available in nine different languages including English, Japanese, French, Spanish and Dutch. Though not entirely impressive, this offers more players the chance to play the game, which could also mean that there will be a ton of other Pokemon trainers to battle online. The franchise transitioned into 3D graphics back in 2013, and the visuals became impressive since then. Several shots from the trailer showed some areas in the game, including an all-new Pokemon Center. Additionally, the side and back of the Pokemon Center is also seen. This could mean that Pokemon Sun and Moon might have a fully rotatable camera for the first time.